Brussels (AFP) - WikiLeaks founder Julian Assange has urged journalists to use regular postal services to thwart government spying. "My recommendation, for people who don't have 10 years' experience in cryptography, is to return to old methods (and) use the traditional postal service," Assange said in an interview published Saturday. "Journalists are treated by intelligence services as spies," he told the Belgian daily Le Soir. "The same methods used against spies are used against journalists, and now journalists must learn counter-espionage methods to protect their sources." On Thursday WikiLeaks released a second instalment of documents from CIA director John Brennan's hacked personal email account, including his contacts list. 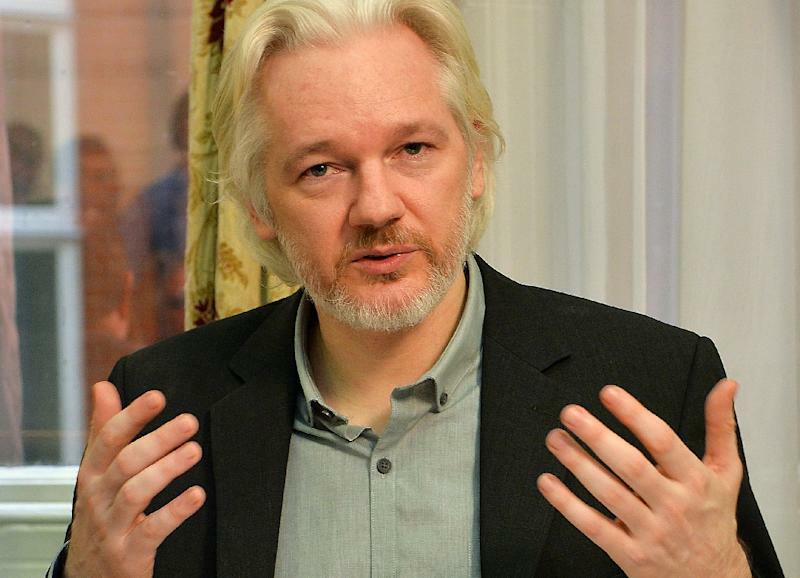 Assange, in another interview with the Belgian daily L'Echo, reiterated that WikiLeaks would release more of Brennan's documents on Monday, which he described as "documents awaited by many human rights activists and lawyers, but also people who were tortured." He added that WikiLeaks would soon post information about the Transatlantic Trade and Investment Partnership (TTIP). In August, WikiLeaks offered 100,000 euros ($110,000) for a copy of the trade deal. Assange is to contribute by videoconference to a debate Monday on "political transparency and protection of privacy" to be held in Brussels.